I love that the 4th of July lands on a weekend this year!! We love celebrating with our neighborhood friends and we usually all get together for a pot luck day in my backyard, since we have the pool. 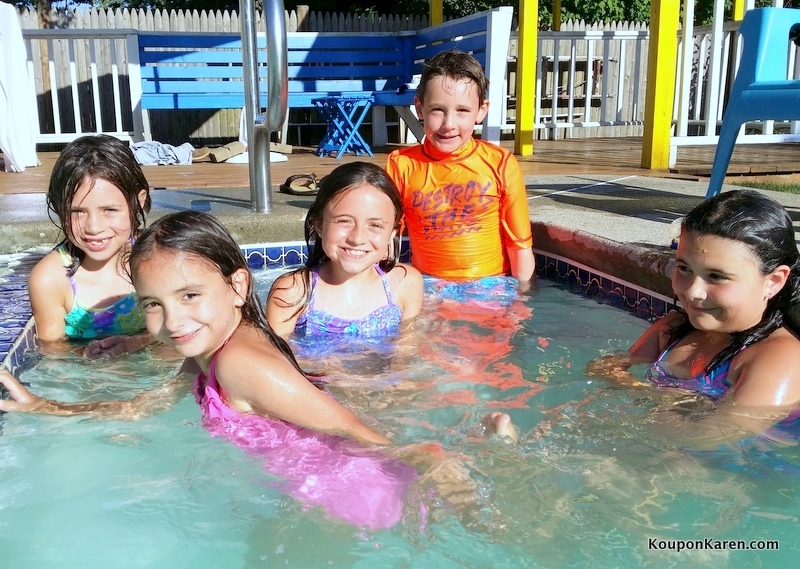 I love seeing all the kids just enjoying themselves, jumping in and out of the pool, having a GREAT time. My camera is on overload those days trying to catch the perfect jump as they count down and jump in the pool. Every year it gets more and more fun. 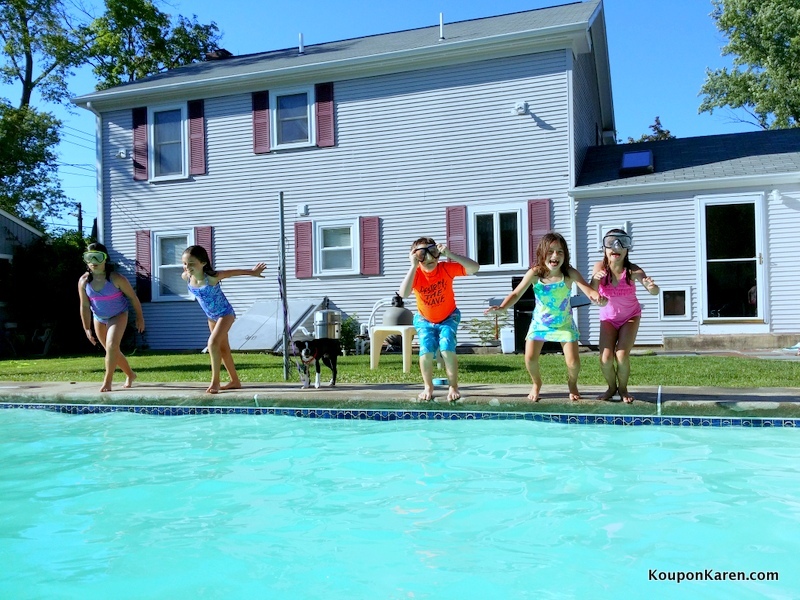 Since we entertain a lot in the summer (having the pool makes us pretty popular with our friends!) we are big on saving where ever we can and the 4th of July celebration is no exception. While I was in Walmart getting my groceries, I was trying to figure out what I’d pick up for the party. Since we spend the entire day in the pool, I like to have things that don’t requiring cooking that day, so I don’t end up slaving over the grill for hours, especially if it’s hot. So anything I have to cook that day, is out of the question. 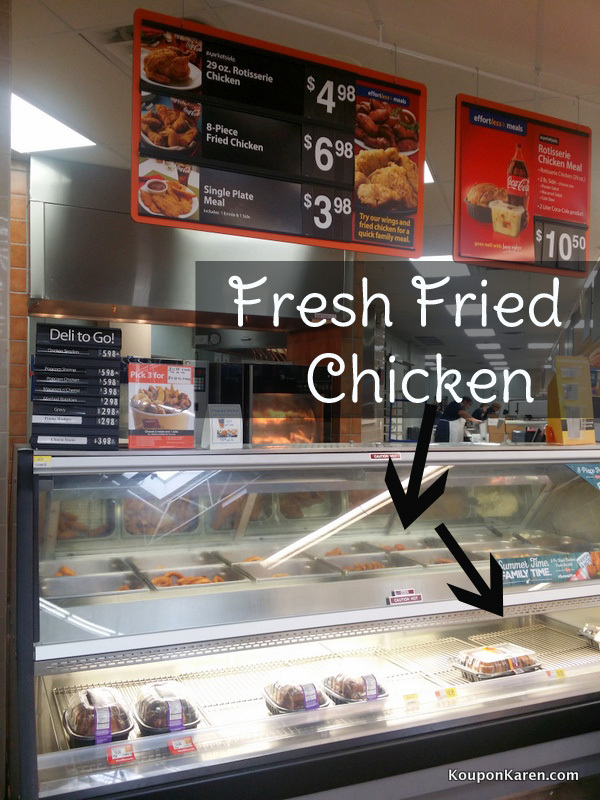 Then I walked by the deli department in Walmart and saw the Fresh Hot Fried Chicken! I thought that would be perfect for our 4th of July party because who doesn’t love fried chicken! And the price at Walmart can’t be beat. If you have picky eaters in your family, you can choose the pieces of chicken your family will eat or you can get a variety pack all ready to grab and go. 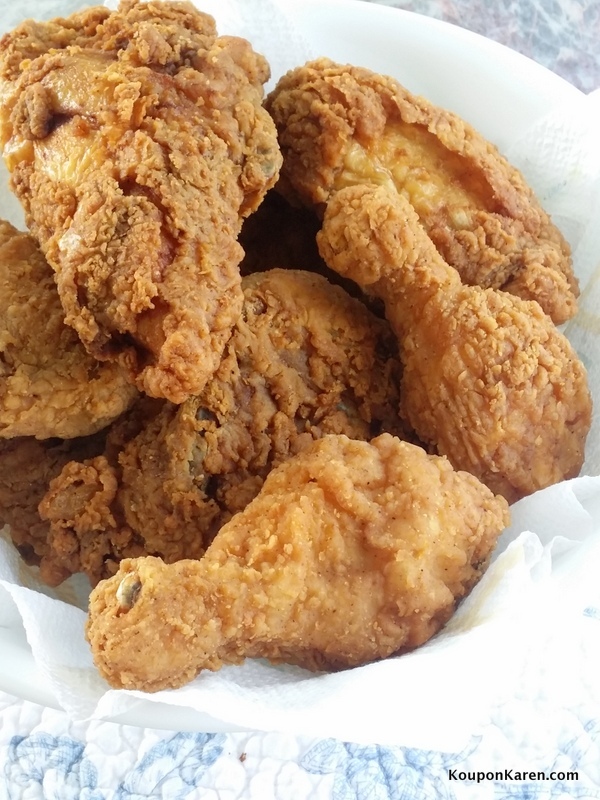 It’s super convenient if you just stop in to grab some hot fresh fried chicken. 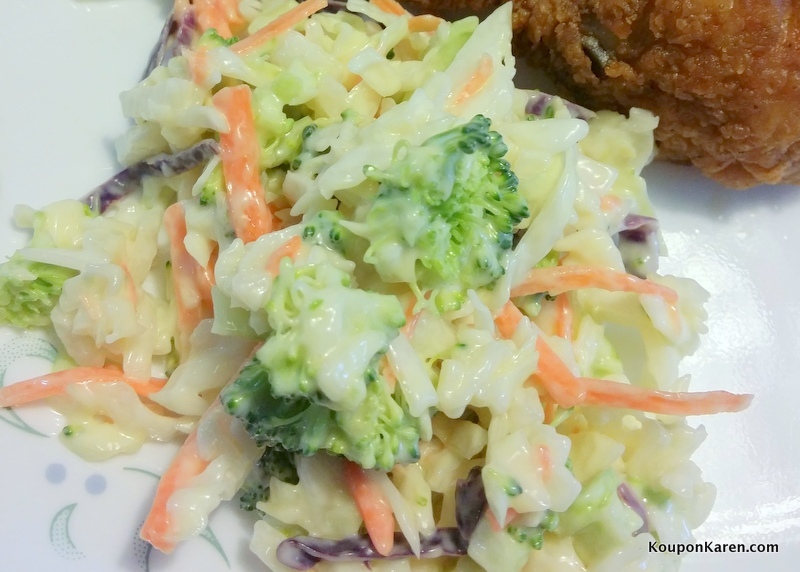 I decided I’d make my favorite broccoli coleslaw that everyone seems to love as a side to the chicken. It’s simple, delicious and healthy! I like to either grab a bag of coleslaw mix already ready to go or shred it all myself. It really depends on the time I have. I also like to add some chopped up raw broccoli to my mix. It gives it some more flavor, color and crunch. The dressing is so easy to make and you probably have all the ingredients in your pantry and fridge already! You can use powdered mustard too, but I like it with yellow mustard. Mix all the ingredients together using a spoon. 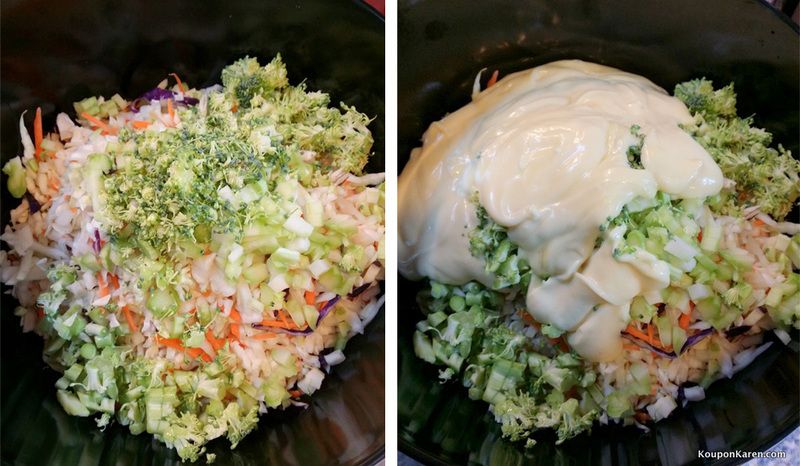 Once the dressing is made, mix it with the vegetables. It’s best to let this sit in the refrigerator for at least 4 hours for all the flavors to blend together. It’s so much better after that time so make sure you don’t skip it. Look how colorful this is! I make this in the morning and while we are swimming and visiting with our friends, it sits in the fridge and it’s ready when we are! 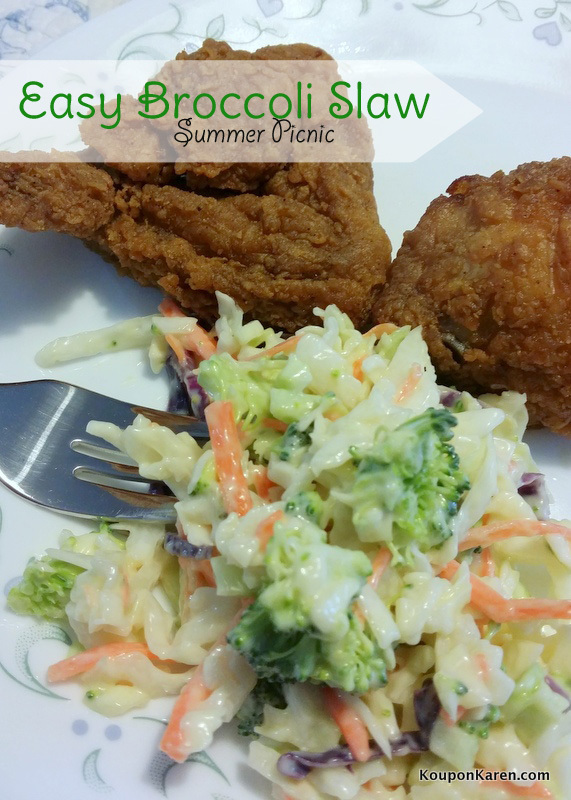 It’s the perfect side dish to have with fried chicken and the kids love it too. I’d love to hear what side dish you’d serve with this Fried Chicken! 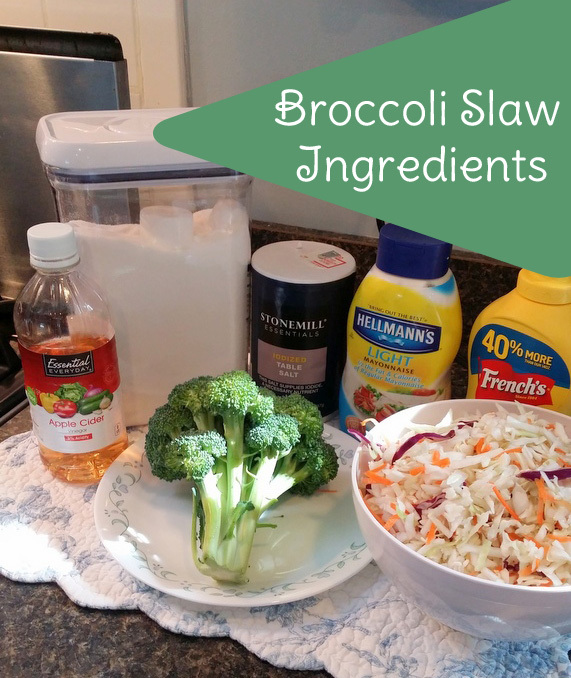 This slaw looks delish! I’m pretty sure this would be my choice as a side dish. This is a great salad recipe during the heat of the summer.